Forklift Trucks - Lift Truck Operators - Re-charging or Refuelling Areas - Racking - Palleted Loads - Forklift Roadways - Pedestrian Walkways - Ramps - Uneven Floors. 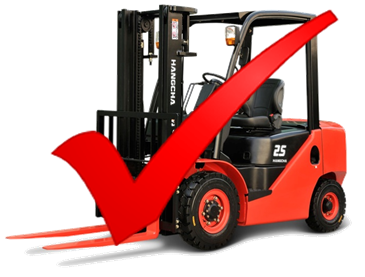 A qualified forklift instructor can visit your company to carry out assessments of the areas where forklifts operate, safe driving skills of the operators, truck conditions, refuelling areas, racking conditions and any other forklift related items.Upon completion you will receive a comprehensive report outlining any safety improvements required or Operator retraining needed. Our Instructors can also train your Managers, Supervisors or Team Leaders to conduct your own regular Forklift Health and Safety Audits.